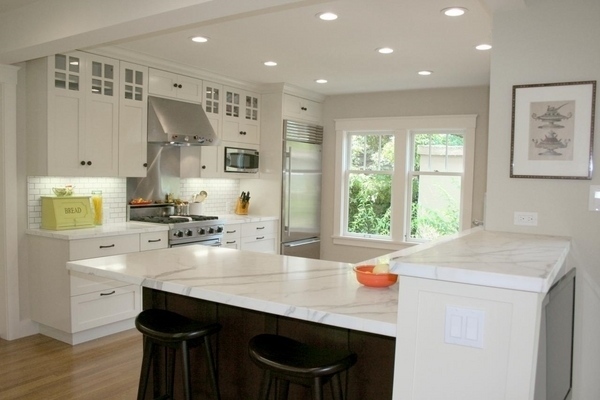 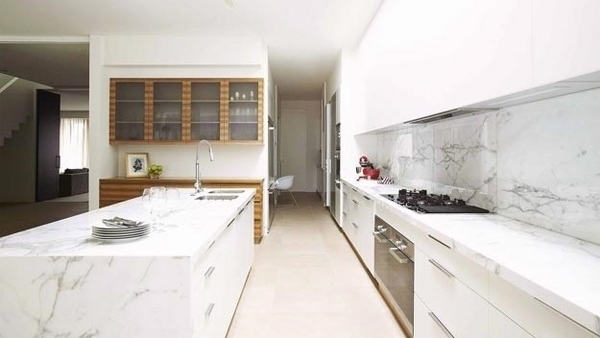 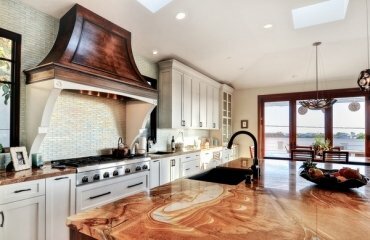 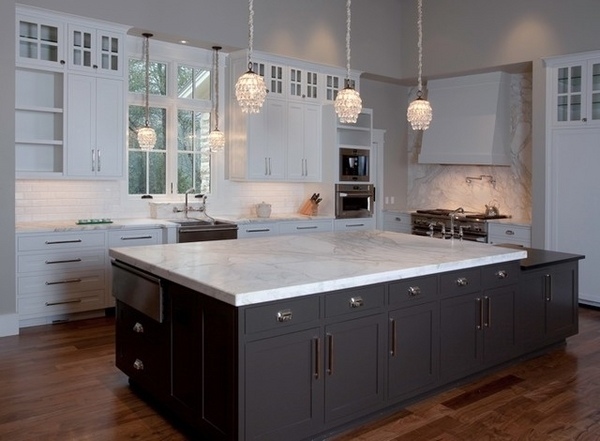 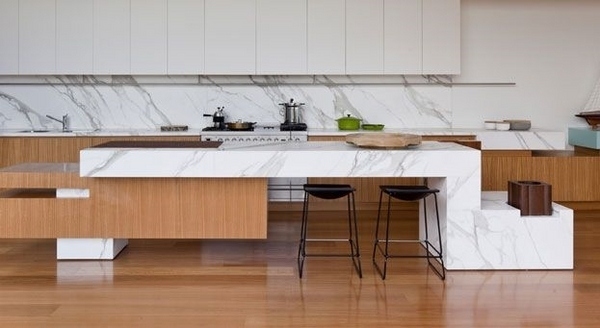 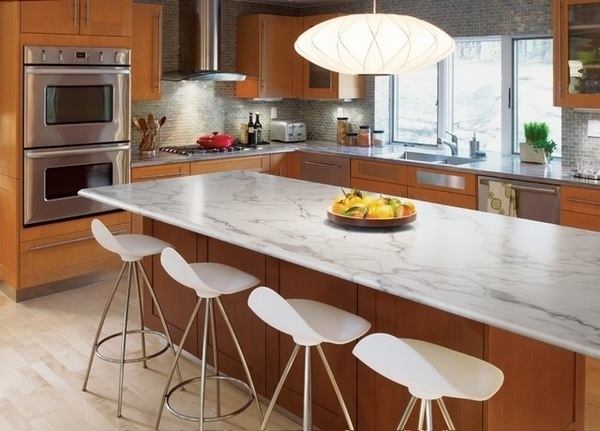 We will show you amazing kitchen designs with Calacatta marble kitchen countertops. 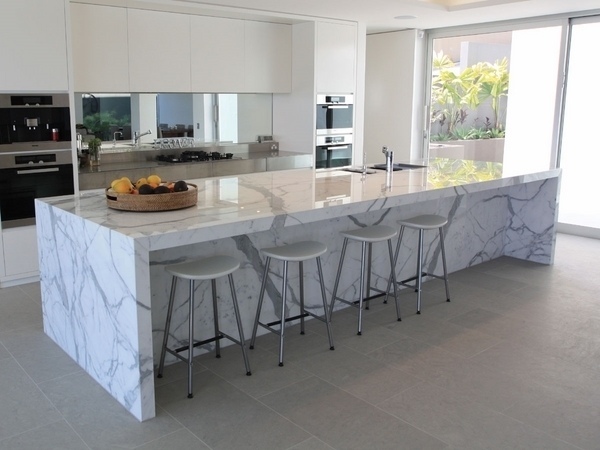 They unite the classic beauty of the hard stone with modern sleek lines and the result is absolutely stunning. 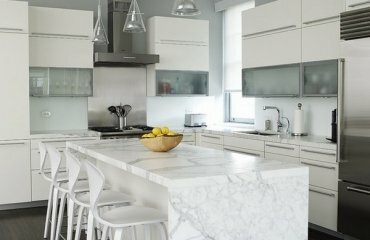 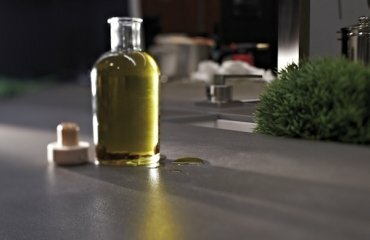 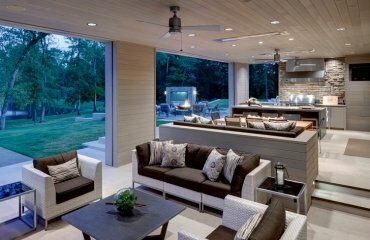 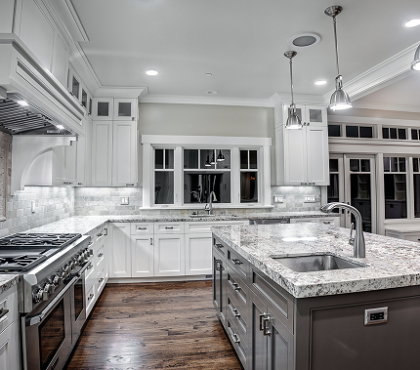 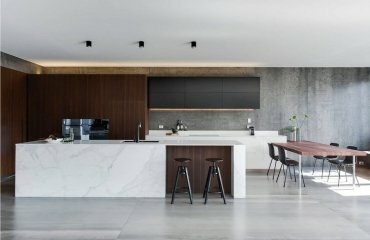 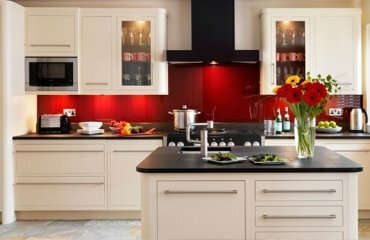 Marble countertops are popular in kitchen designs as being a part of the white granite countertops for kitchen, but there are different types of marble and each one has its own characteristics and unique appearance. 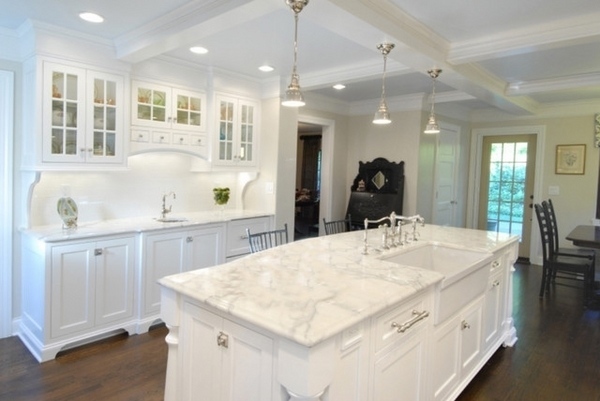 Calacatta marble kitchen countertops – what is calacatta marble? 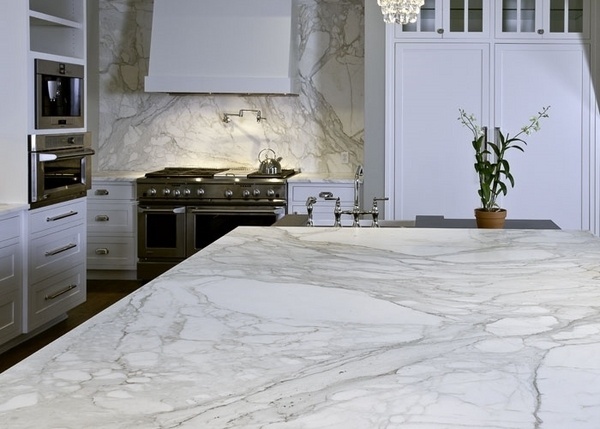 Marble is considered as one of the most luxurious materials in the world. 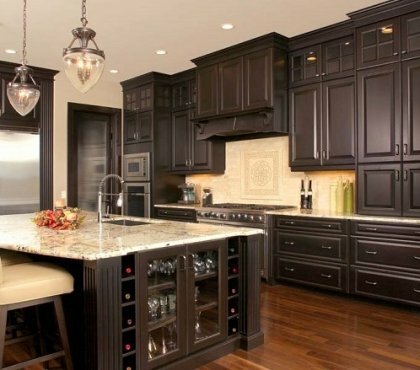 It gives the kitchen a noble, aristocratic look which can hardly be mimicked by any other material. 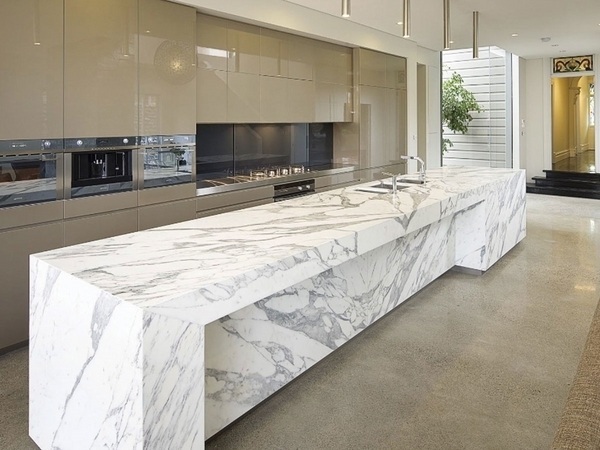 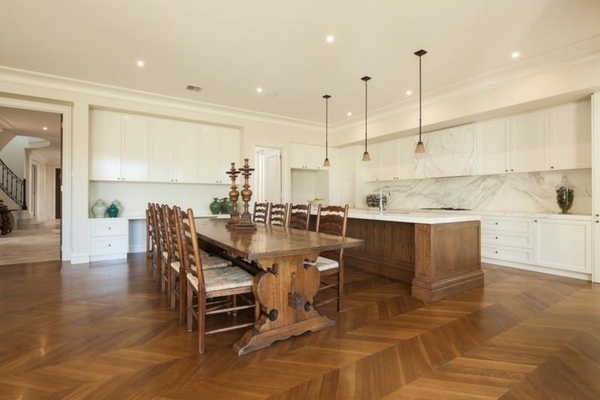 When we talk about calacatta marble kitchen countertops the first question that pops to the mind is what is calacatta marble and how it is different to carrara marble. 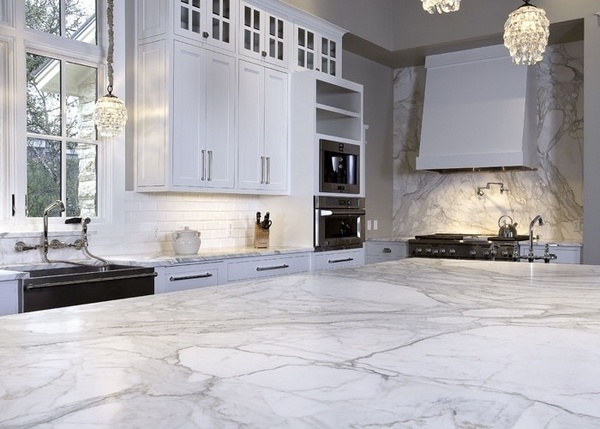 Calacatta and carrara marble are the most popular Italian marble varieties and even to some professionals they may look much the same. 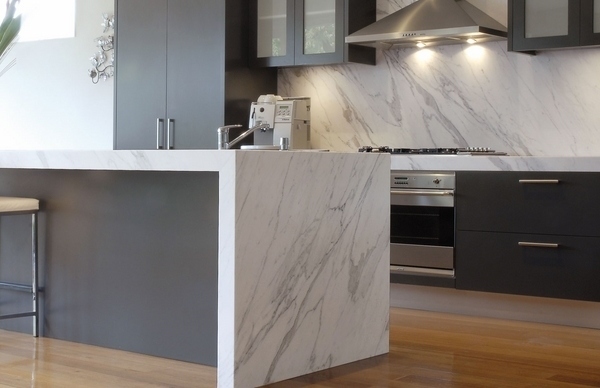 In addition calacatta marble is quarried in Carrara, Italy which adds up to the confusion but you should know that it is much rarer that carrara. 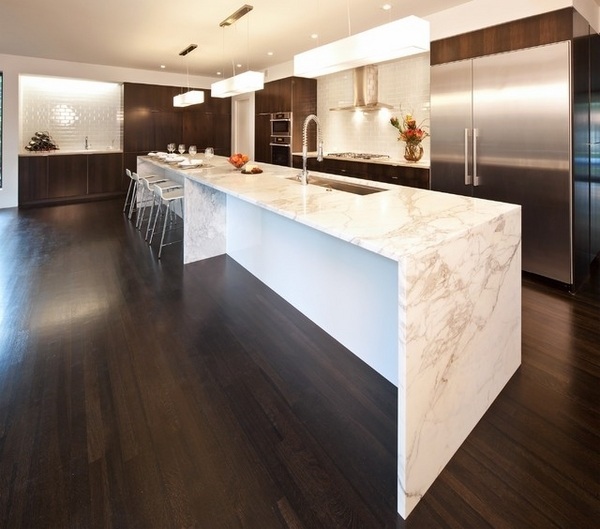 Calacatta marble kitchen countertops undoubtedly give a feeling of luxury to the kitchen interior. 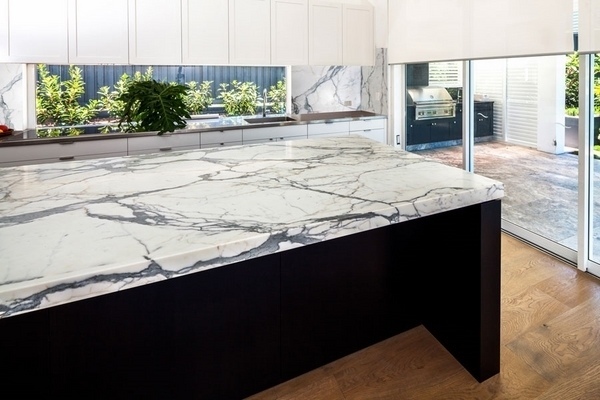 When it comes to choosing a calacatta marble slab for your kitchen you have to know that like most natural stone, slabs differ in appearance. 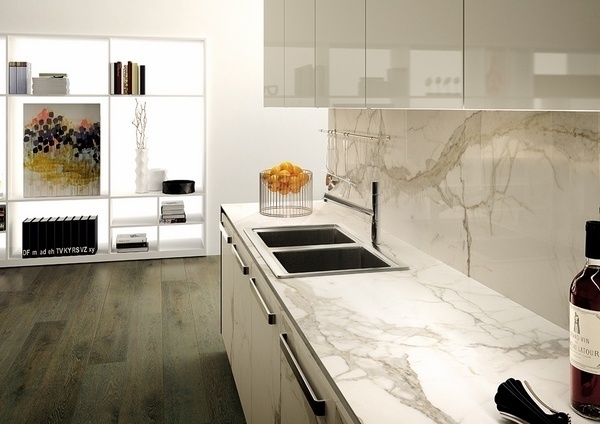 It is known as Calacatta Borghini, Calacatta Gold, Calacatta Viagli and each variation has a different look. 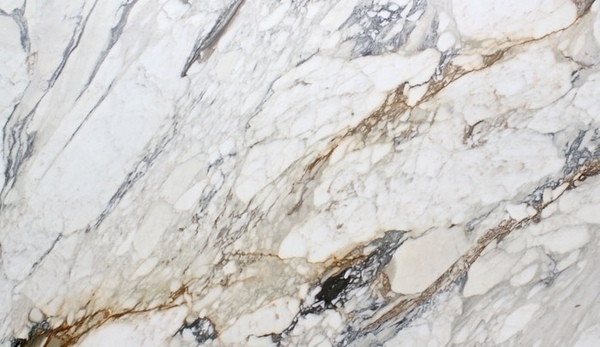 Calacatta marble has very bold gold and grey veining and a gorgeous honey white background color. 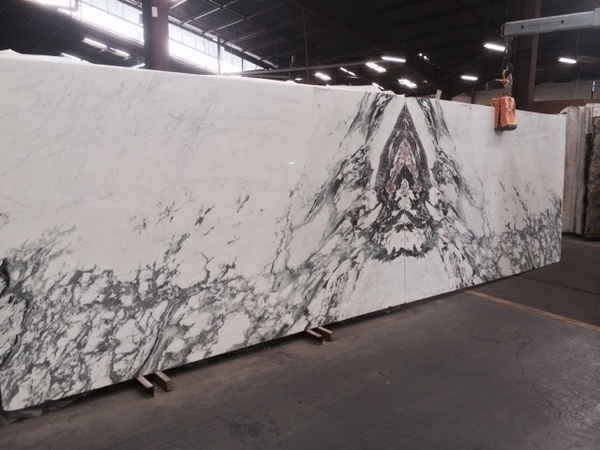 The variations of calacatta types vary in appearance. 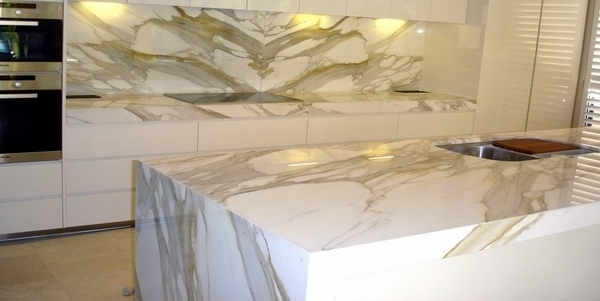 Some types have a warmer look with gold veining while others appear whiter with gray veining. 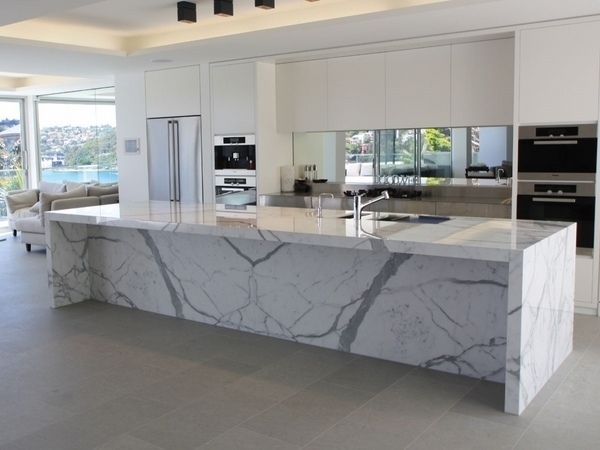 It has a very high price tag as it is limited and the worldwide demand for this gorgeous natural stone is quite high.